This page is a place holder for the 2014 Tour De Coop with links to 2014 events to make way for the 2015 Coop tour event! 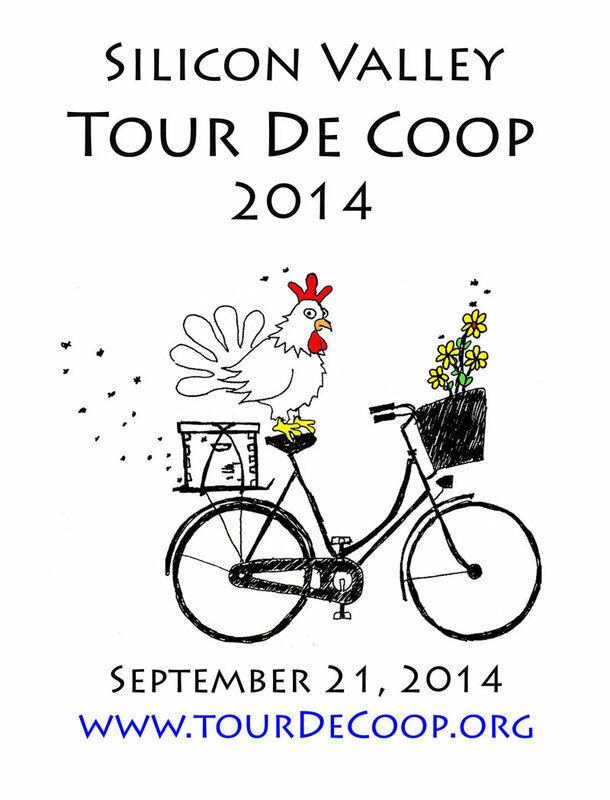 1,483 folks registered for this 2014 Tour De Coop event. 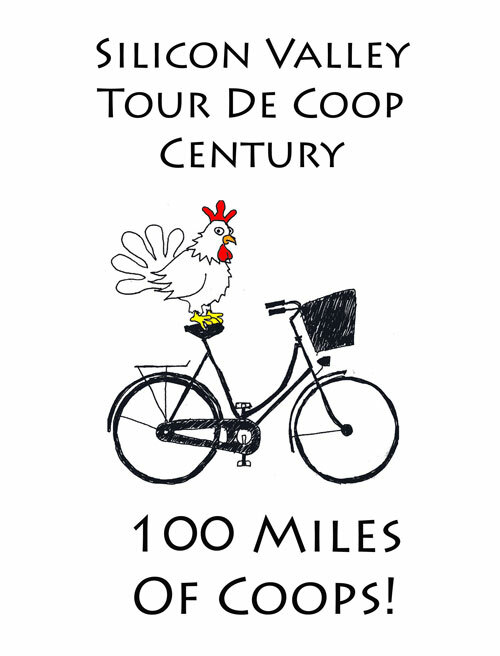 We had 29 coops, over 230 miles of coop loops with about 8 different tours from 5 miles to 100 miles! It was a heck of a COOP day! 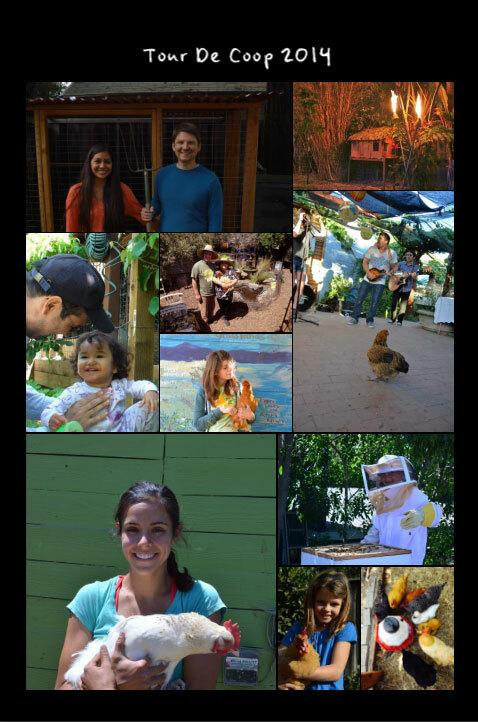 The Third annual Silicon Valley Tour de Coop, a free, self-guided bicycle tours of chicken coops, gardens, bee hives, hoop houses, and coolest Silicon Valley urban homesteads, happened on Sunday, September 21, 2014 from 9AM to 4 PM. Want to show your coop next year or help out? Sign up now! This year’s coop tour is being sponsored by Slow Food South Bay, local chapter of Slow Food USA. Slow Food South Bay actively promotes our local food communities so that everyone can enjoy food that is good, clean and fair. Click on the icon below to find out more!